you can use Trend Anlysis. 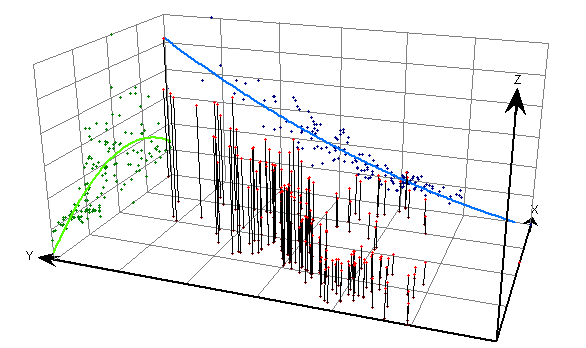 The Trend Analysis tool provides a three-dimensional perspective of the data. After locating the trend you need to decide whether to consider it and add "artificial masking" to the trend. Even if there is a moderate trend does not necessarily mean the application reduces or impairs the precision of interpolation. Commonly, you model 1st order spatial trend using a low-order polynomial. The resulting surface is what you visualize to understand the 1st order (global) spatial trend in your data. You can model polynomial surfaces in ArcGIS or R.
You can extend this principle in a simple spatial regression by fitting a polynomial to [X,Y] and including this as a covariate in an OLS. This will act as a spatial lag in the regression. I do not necessarily recommend this but this was an early approach used in spatial statistics (see Statistical Inference for Spatial Processes by B.D. Ripley). If you have a census of data, I do not believe there is a need to calculate the probability of a directional trend. My preference is to always use the most simple descriptive tools to analyze problems and scale up to more sophisticated analysis tools as needed. Consider using some very simple geographic distribution tools in ArcGIS. The attached image shows several points delineating forest gaps. If I am interested in learning the directionality of these disturbances in the forest, simply calculate the Standard Deviational Ellipse (shown as a blue polygon)(Figure 1). I specified 1 SD, although you may want to increase this to include more area. Now check the angle of this standard deviational elipse by opening the attribute table (Figure 2). This very simple analysis tells us that the trend is from NW to SE at 129 degrees. You could use Geographically weighted Regression (GWR) - there is an R package (spgwr) as well as other versions. Not the answer you're looking for? Browse other questions tagged arcgis-desktop r spatial-statistics or ask your own question. Projecting polygon when calculating its area? 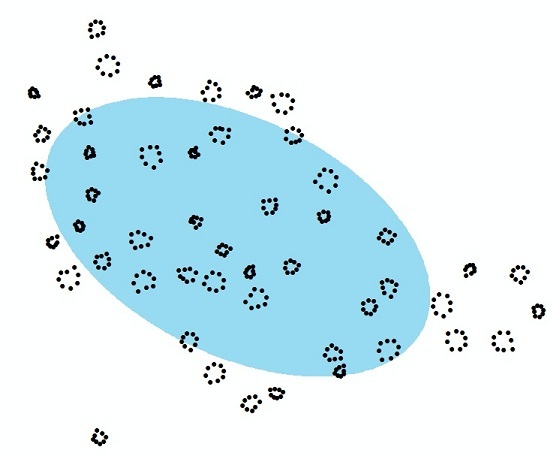 Spatial outliers detection in R?